This Gallery includes a few photos from our neighborhood here in Appleton, followed by all the Olbrich Gardens photos. Goldenrod of a certain kind I can't remember. 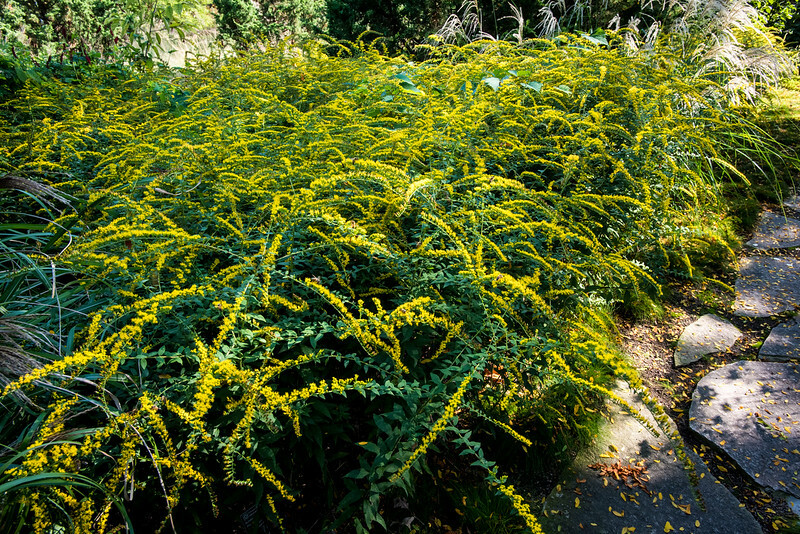 Goldenrod, though causing allergic reactions for some people from direct handling, does not cause hay fever. The pollen is way too heavy and sticky to float in the breeze like Ragweed (which does cause hay fever).